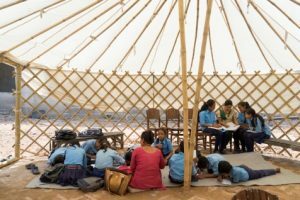 This initiative was aimed to contribute towards bringing relief and hope to the people affected by the massive earthquake here in Nepal. 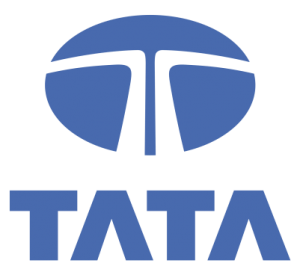 On 17 September the Earthquake Relief Centralised Kitchen set up under the aegis of Tata Trusts and their associates Sipradian Sahayata Sanstha, and facilitated by The Akshaya Patra Foundation, served its last meal. The kitchen was closed as planned on this day, after a fulfilling journey spanning 88 days of operation and serving 1.4 million meals. This has truly been a rewarding and unforgettable experience for all involved at The Akshaya Patra Foundation. 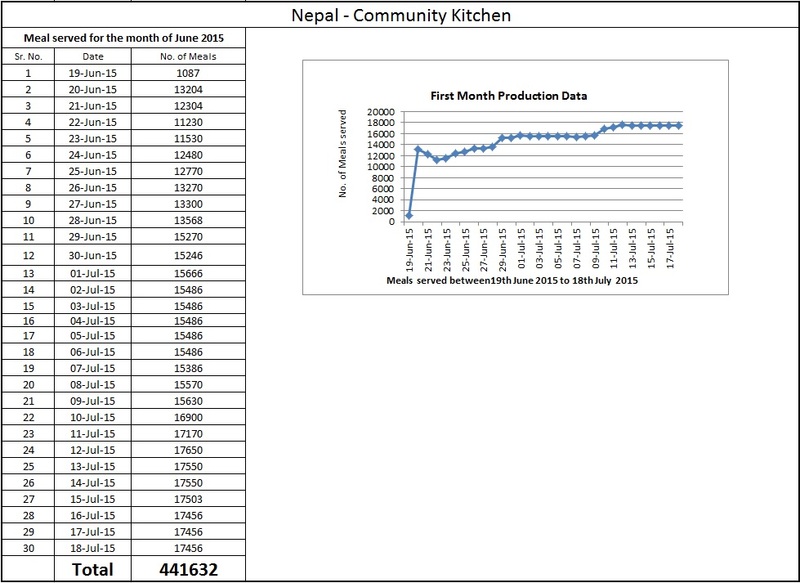 The Nepal kitchen crossed the production and distribution of its millionth meal! The kitchen continues serving nutritious food to camps still running in the area. 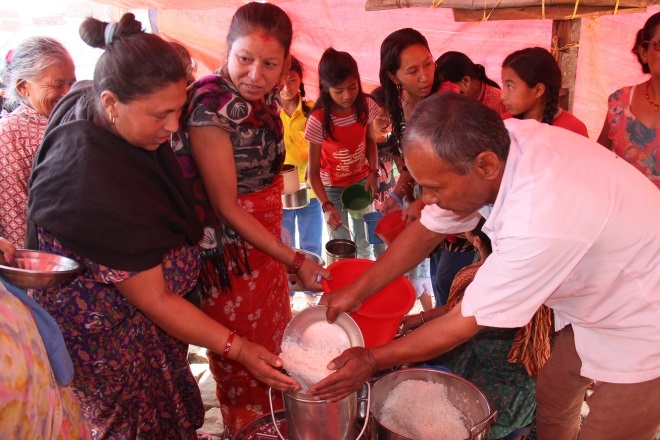 At the end of one month the Earthquake Relief Centralised Kitchen in Nepal served 441,632 meals to the beneficiaries in the region. 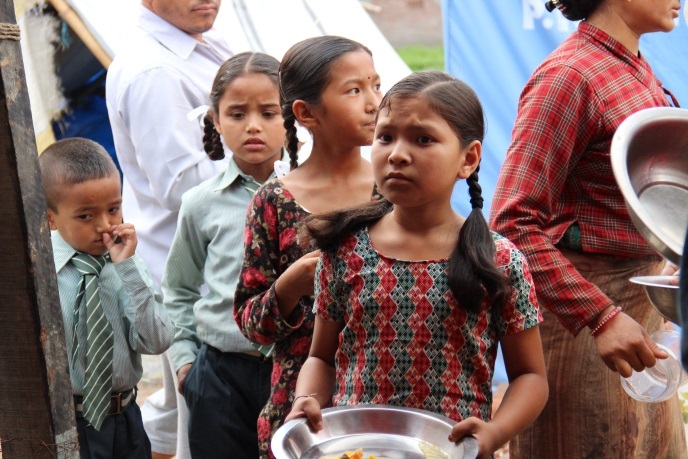 The kitchen’s reach has now grown to providing over 17,000 meals across 17 camps in and around Bhaktapur every day. With the continued support of Tata Trusts, Sipradian Sahayata Sanstha and the Government of Nepal, the kitchen is expected to remain in operations for the next three to five months at least. 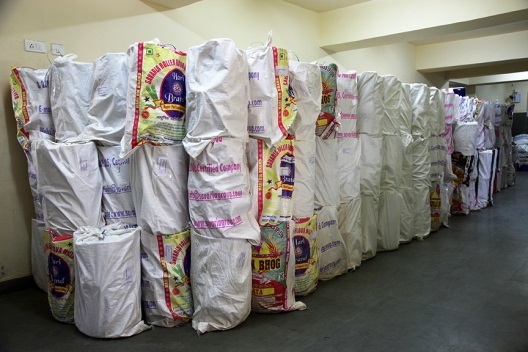 Once again preparations have been on to serve wholesome meals to 5,500 people in the morning and evening each. 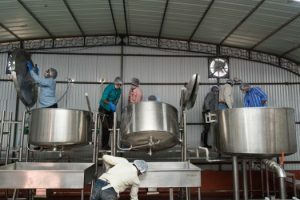 When the crew arrives at the kitchen in the morning the food has already been filled into the vessels to deliver on time to the camps in the region. On the menu today is rice, dal (pulses), with a gourd and beans sabji (vegetable). 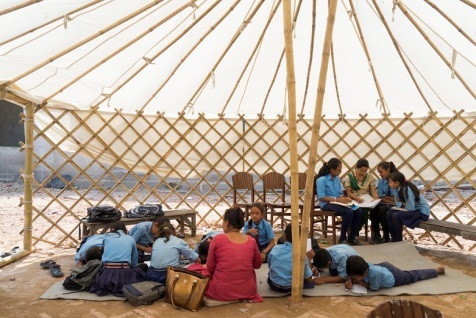 Before leaving to follow the delivery vehicles to a camp, the crew meets Tek Bahadur Bhandari, his wife Tika Maya Bhandari and their third daughter Anita. Tek and Tika have three sons and four daughters. 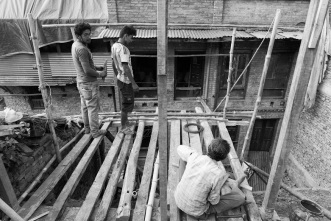 They migrated to Bhaktapur, and were in search of work. 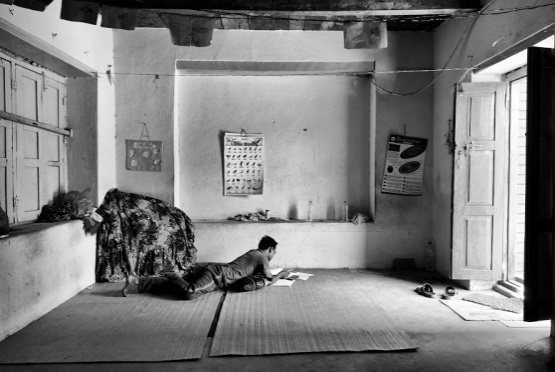 Now by working in the kitchen they are able to support their family. 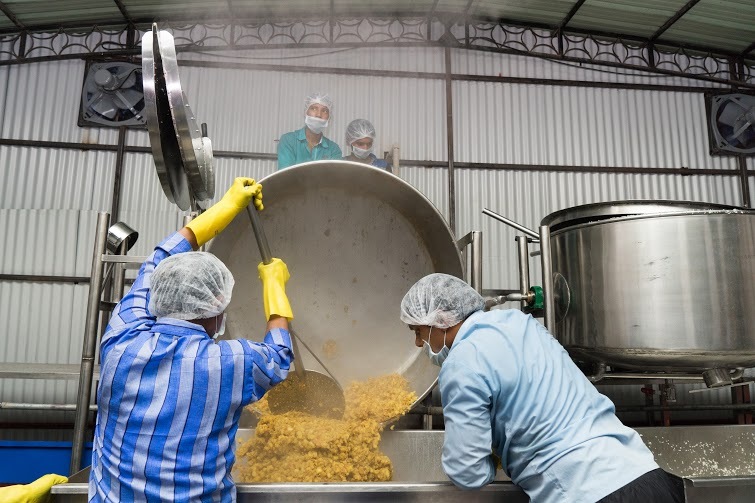 It’s heartwarming to know that the kitchen is not just providing nutritious food to those in need, but also providing employment in the region. 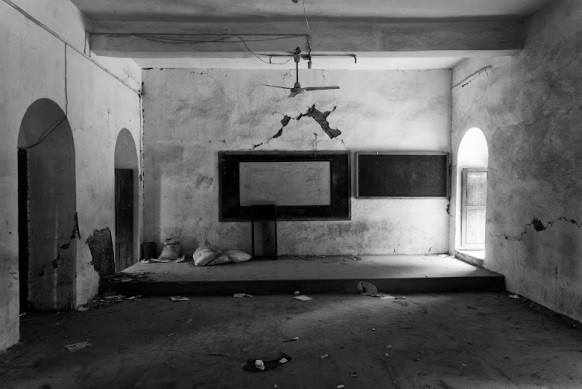 An interesting feature of the camp is that it also has a playschool which cares for eighty children. 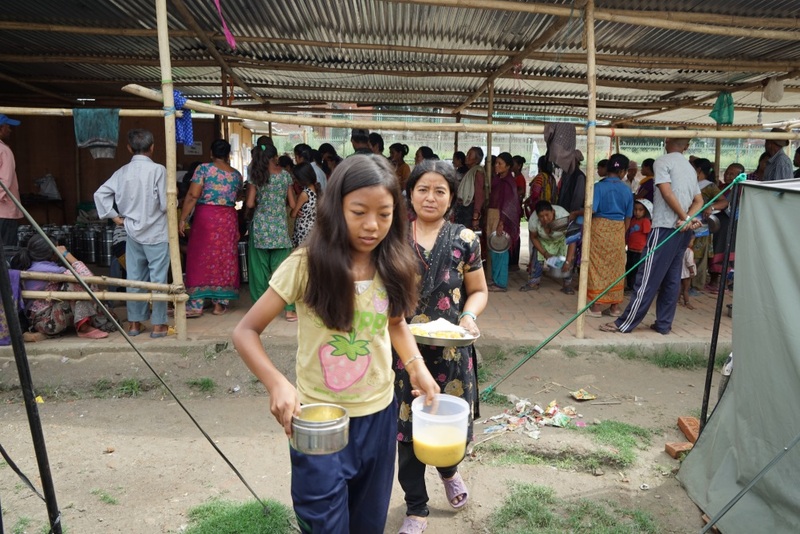 Relief measures continue in Bhaktapur as the morning meal is prepared for 5,500 people. The menu for the morning meal consists of rice, dal, with a carrot and bean sabji (vegetable). The first van leaves the kitchen at 6.30am, and the last van at 8.30am to deliver the fresh food on time to the camps. Following one of the delivery vans takes our team to the Kamal Vinayak (Garund Kunde) camp, the same one we visited yesterday. We watch as people gather quickly to get their meals. Mothers are accompanied by their little children who are curious about the activity at the camp. Today the residents recognise us, and open up to us about their experience. 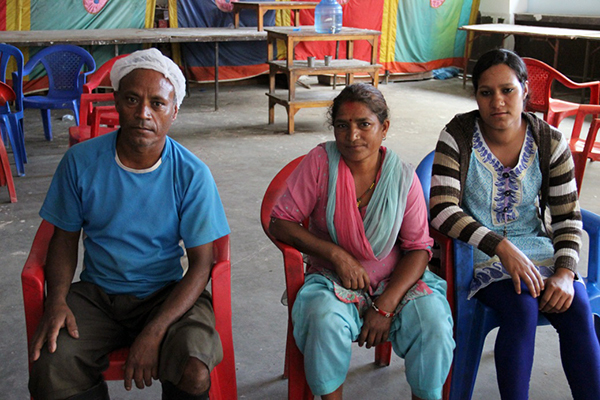 As the community accepts us amongst them, we get an opportunity to get a glimpse into their lives at the camp. 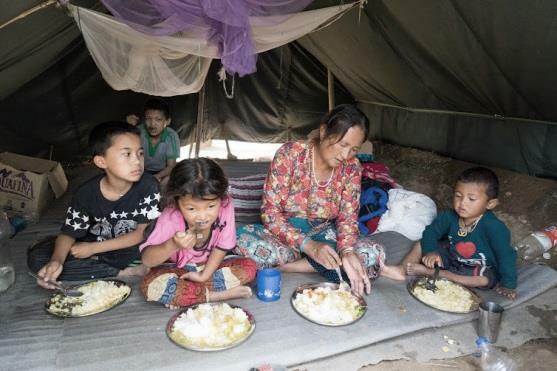 A family enjoying the meal in their tent. They have managed to salvage some of their belongings from the disaster. Back in the kitchen preparations have been on to cook the evening meal, which is completed by 4.00pm. The menu for this meal is rice, dal and cabbage sabji. 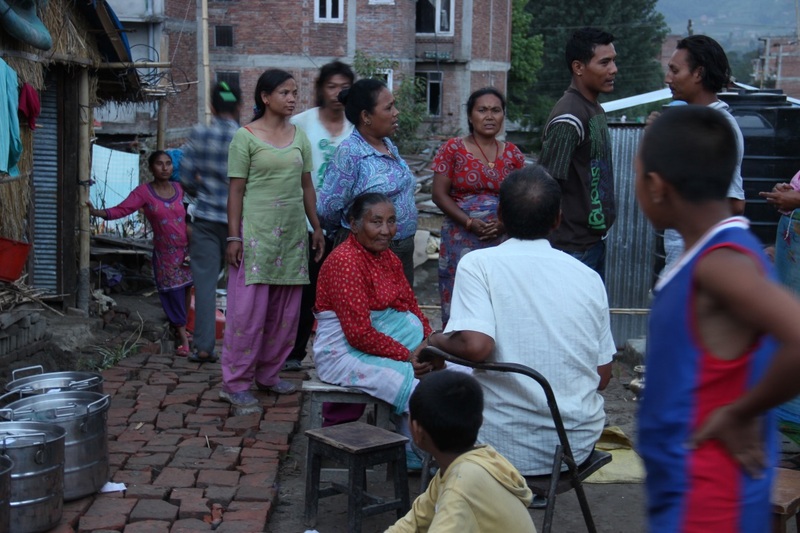 Howeve, in order to avoid wasting excess food, we have decided to distribute food to new areas around Bhaktapur. We follow the delivery vehicles to a new location that houses about 200 families. Believing that these meals will help bring some stability to the region after days of instability, we take leave of this community. Cooking starts long before the sun rises to make sure the food is delivered on time to the 5,500 people waiting in the camps. On the menu for the morning meal is rice, dal and potato sabji (vegetable). To feed so many hungry people 1,700 kilograms of rice, 1,200 litres of dal (pulses) and 780 kilograms of potato vegetabl is prepared. 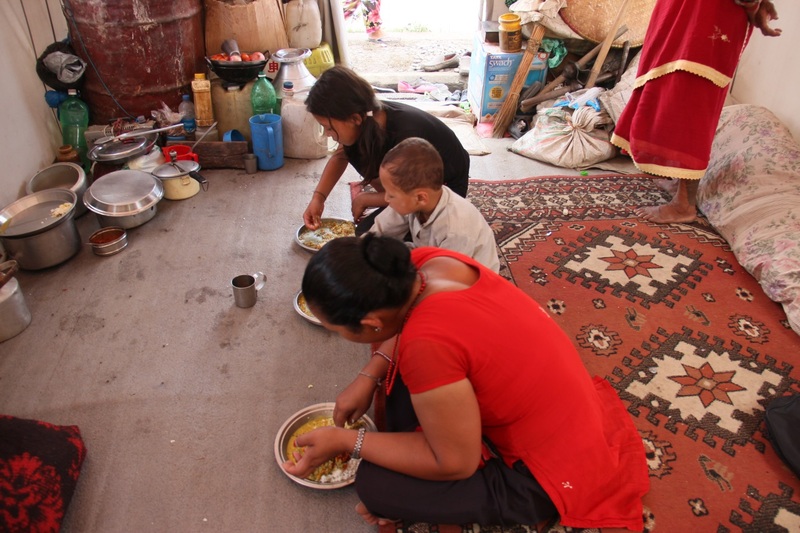 On the 20th of June the first morning meal was prepared for 5,500 people. It took approximately 2 tons of rice, 220 kilograms of dal, 70 kilograms of tomatoes, 140 kilograms of potatoes, 30 kilograms of spices and other condiments and masala. The cooking measurements are taken after feedback on requirement from SSS, which will gradually climb up to the targeted figure. The kitchen has the capacity to cook about 10,000 meals in an hour with a maximum capacity of cooking 100,000 meals a day. 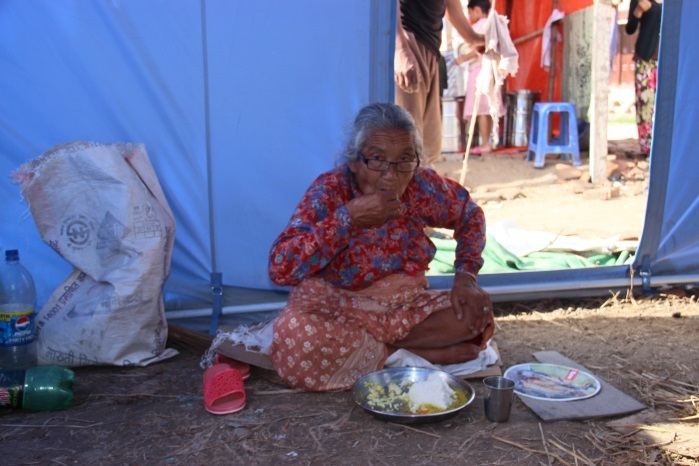 The kitchen will serve the beneficiaries in and around Kathmandu for the next six months and continue if need be. Assessing the amount of work, the kitchen is looking to start operating on 21st June. The dedication and devotion to the humanitarian effort stirred the staff on and the kitchen is ready on mid-day 19th June. 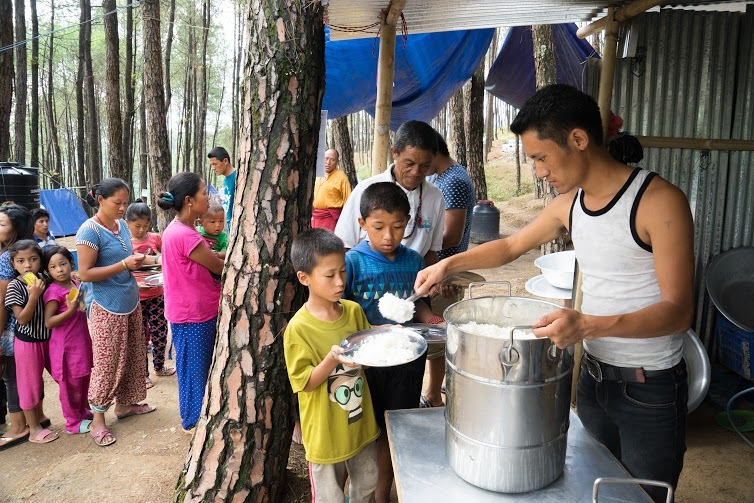 After two hours of quality assessment and cleaning the first evening meals were cooked to serve 1,100 people in an area called Bode, one of the eleven regions identified to be delivered cooked meals every day. 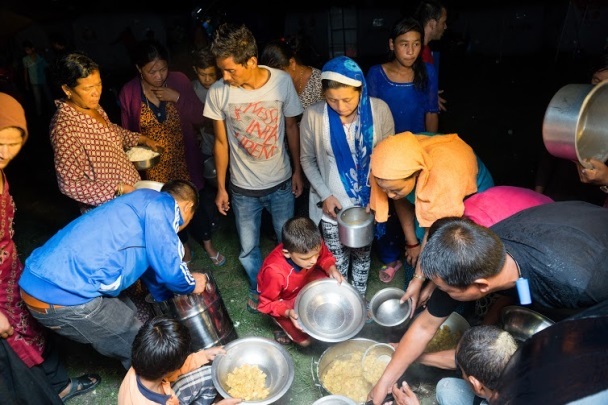 Bhelukhel, Maheswari, Jella, Garun Kund, Kamal Binayak, Thulo Bayasee, Bayasee, Bode, Thali, Gokarneswar and Bhugmati are the eleven regions in and around Kathmandu identified by the initiative to be delivered cooked food every day. 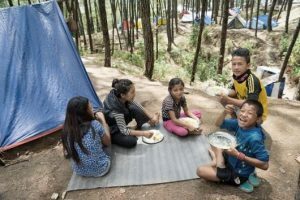 The relief kitchen is set to cook two meals a day, where all the locations except Bhugmati will receive morning meals; the numbers of meals for each place vary according to need. 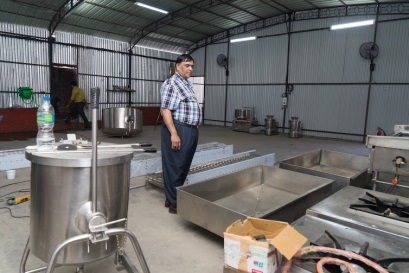 The kitchen will cook around 7,192 morning meals and 8,192 evening meals each day, and will be delivered using vehicles provided by Sipradian Sahayata Sanstha. 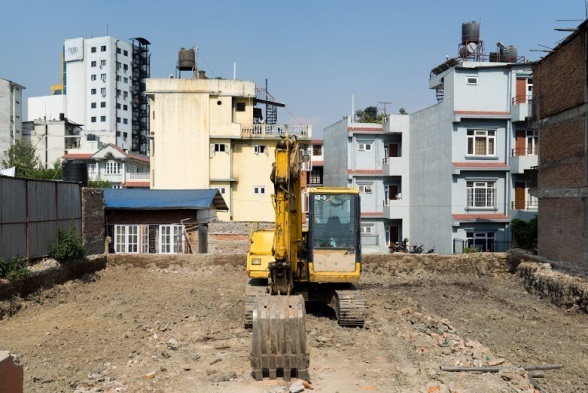 On 18th June, the last vehicle reached Bhaktapur. It brought a cauldron, boiler and other related accessories to get the kitchen ready. The kitchen is built on an area of approximately 2,500 sq. feet with vessels storage and washing area adjoined. 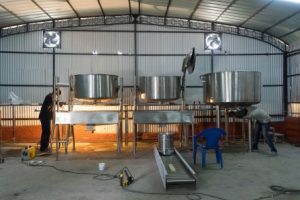 This temporary centralised kitchen is expected to cook approximately 10,000 meals a day, and is equipped with three cauldrons of 600 litres capacity to cook rice, and one cauldron of 1,200 litre capacity to cook dal, as well as other machines to assist in the food preparation process like cutting, peeling and grinding vegetables. 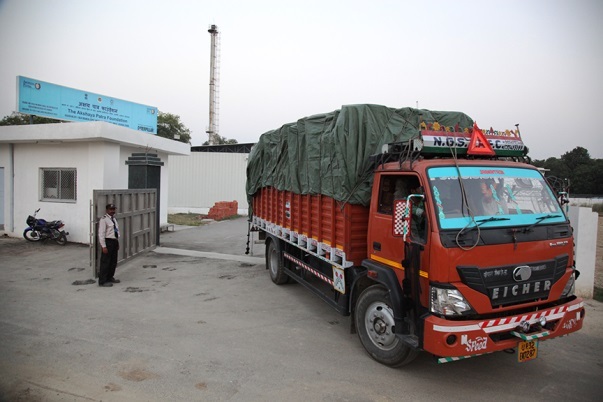 The first batch of trucks arrived on 10th June, 2015. Once the equipment and materials are unloaded, work of setting up the kitchen takes a brisk pace towards completion. Meanwhile the location of the kitchen has been changed to a new site as the earlier is deemed unsuitable. The new kitchen is located at Subakamana Party Palace, Suryabinayak Chowk, Bhaktapur. Innocence is intact, despite the debris! 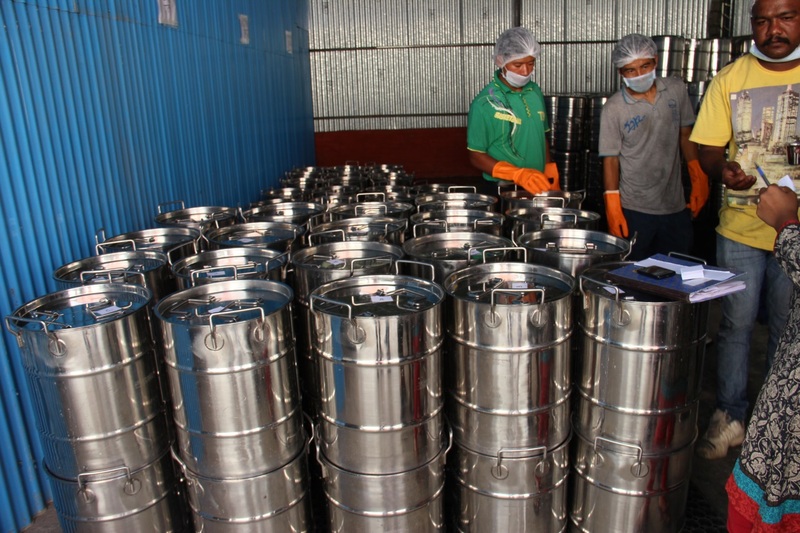 On 27th May, overseen by the Akshaya Patra operations team, various installation materials are aggregated and packed in Bengaluru, Pune, Valsad and Lucknow; to be shipped to Nepal. 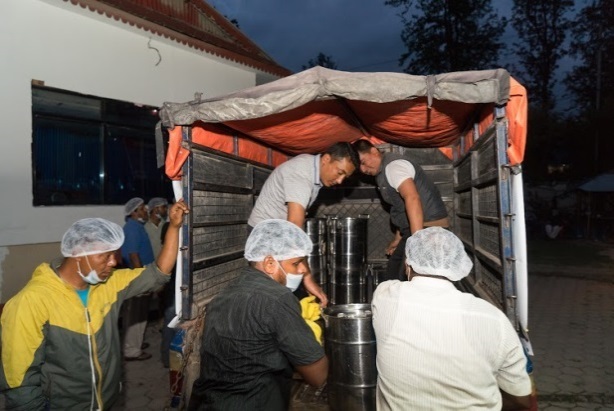 By end-May, 2015 two trucks from Bengaluru carrying heavy kitchen equipment like cauldrons as well as food products with a long shelf life that are not available in Nepal like spices and tamarind juice left for Nepal. 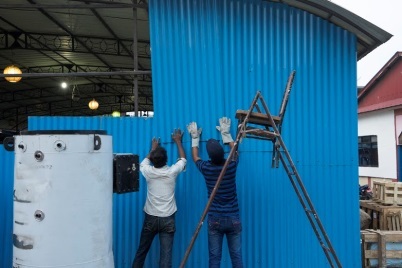 The vehicle from Pune carried a Thermax boiler, while the truck from Valsad carried a small boiler and other required material. 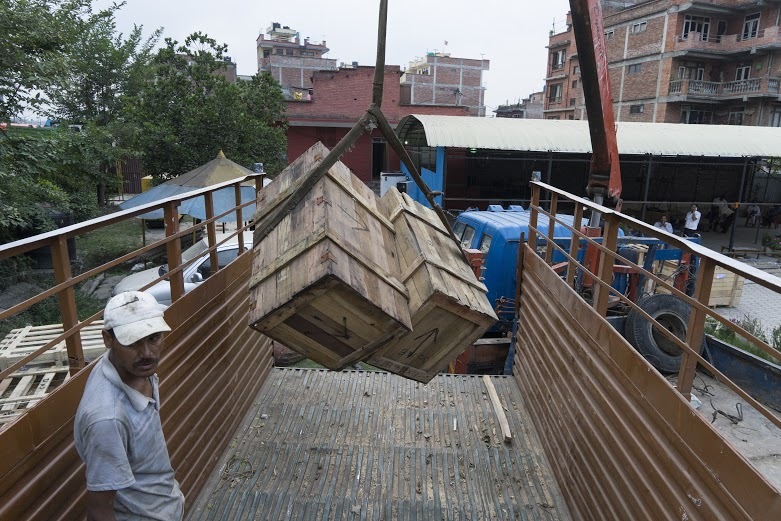 The Lucknow truck carried vessels, crates and pallets, and galvanized iron boxes amongst other items. On 28th April Akshaya Patra receives communication from the Prime Minister’s Office (PMO) to assist the earthquake survivors in Nepal. 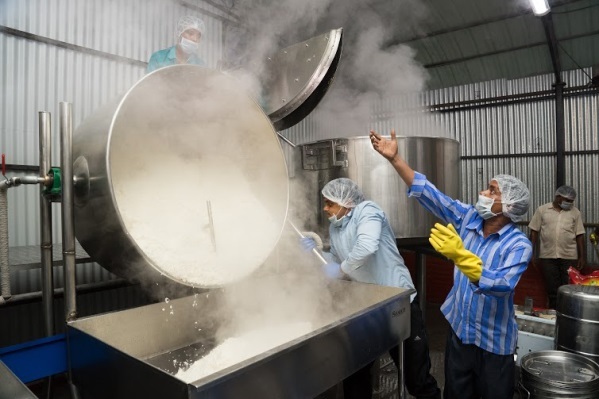 Akshaya Patra prepares 100,000 meals in its Jaipur kitchen on 29th April which is transported to Delhi and then airlifted to Nepal. 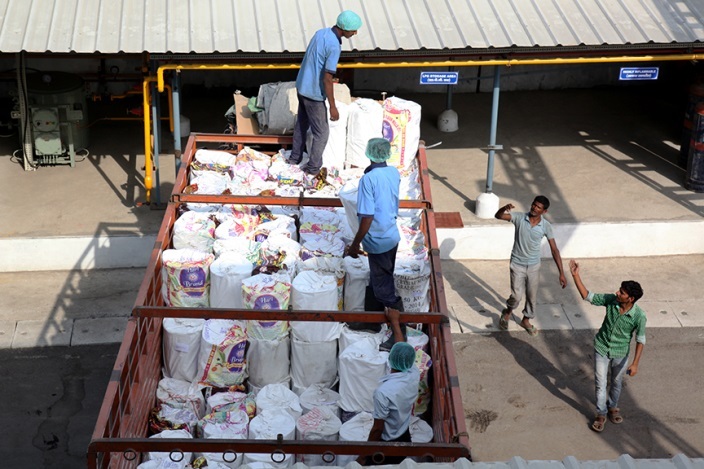 On 30th April Akshaya Patra sends an additional 2,500 kilograms of emergency food aid to the region. Meanwhile, on 29th April, Akshaya Patra operations team meets with Principal Secretary, National Disaster Management Authority (NDMA) and prepares a Plan of Action to set up an open kitchen facility to provide meals to the people displaced due to the earthquake. 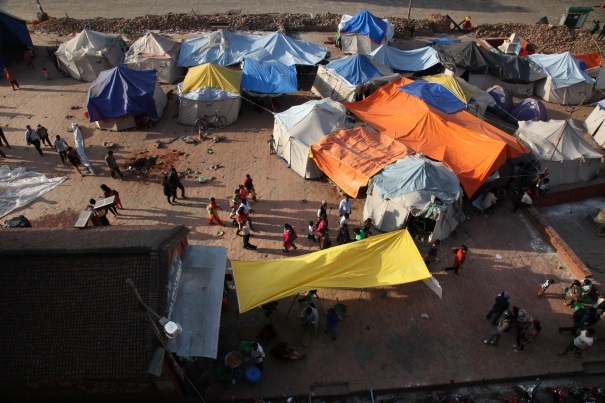 In the next few days, a joint committee comprising of nominees from Tata Trust, Akshaya Patra and Sipradian Sahayata Sanstha (SSS) conducted a need analysis and found that thousands of people in and around Kathmandu are in dire need of food, water and shelter. 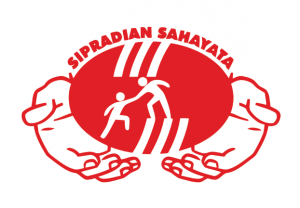 A joint initiative by The Akshaya Patra Foundation, Jamsetji Tata Trust and Sipradian Sahayata Sanstha is taken up to set up an earthquake relief centralised kitchen in Bhaktapur. 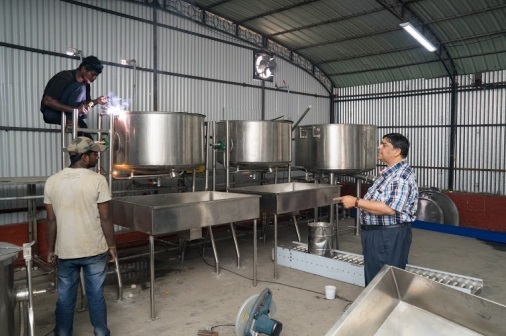 Akshaya Patra presents a comprehensive plan for setting up of kitchen working with Jamsetji Tata Trust and Sipradian Sahayata Sanstha, mapping out the kitchen structure, material requirement, budget and responsibilities of each party. 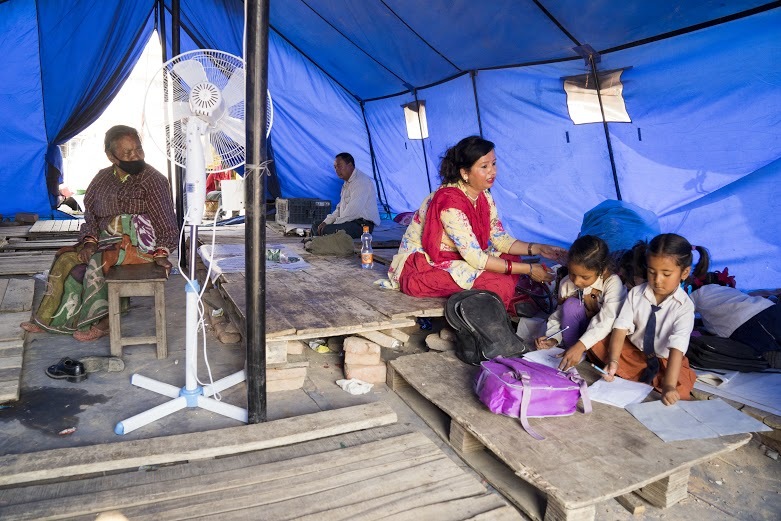 The earthquake on the 25th April and the tremors after claim lives of more than 8,800 people; injure over 23,000 and displace millions across Nepal. I am from Nepal. I live in Bode (place where food prepared in your kitchen comes on daily basis) Though I don’t belong to the group of people that you serve food, It is really astonishing just by looking at the works that are being conducted by this organisation. It is really great and heartmelting to know about your work in Nepal. 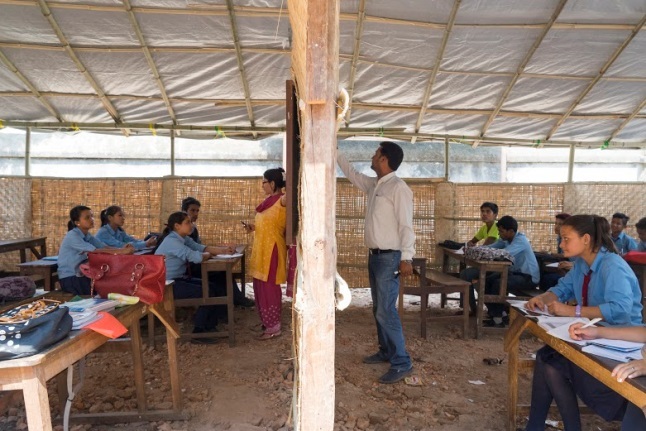 I would really want to volunteer in your further work in Nepal, If possible. 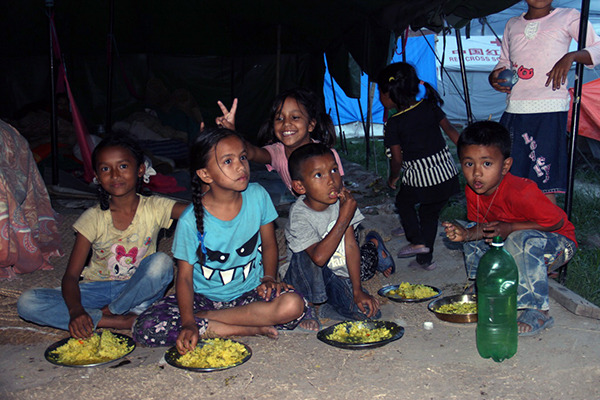 And lastly Just salute n thanks for the initiative food serving program conducted in Nepal. Thank you so much for your support. 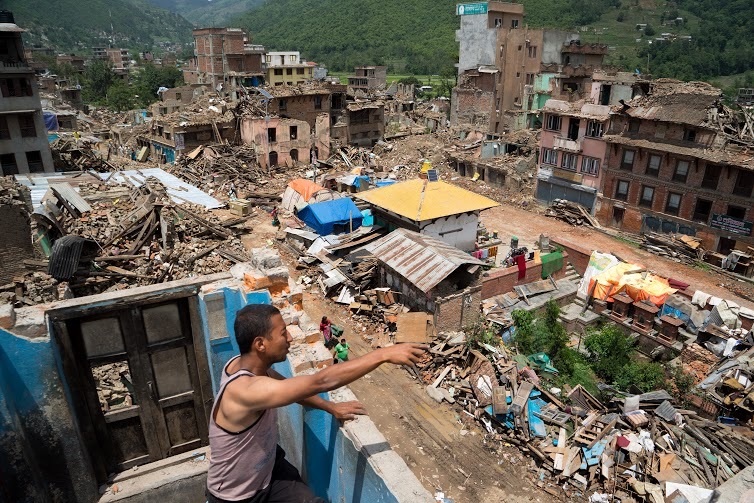 We are exploring the possibility of you volunteering at the Nepal kitchen. We’ll get back to you on this shortly. In the meantime do check out our latest series of posts featuring an interview with our Chief Projects Officer on his experience facilitating the setup of the kitchen.